If you have an extra one or two days in Osaka and you don't have any idea to go about. Why not, you plan a day trip or staying two days at Hiroshima in Japan. Hiroshima is situated at the southern suburbs of Osaka in Japan. 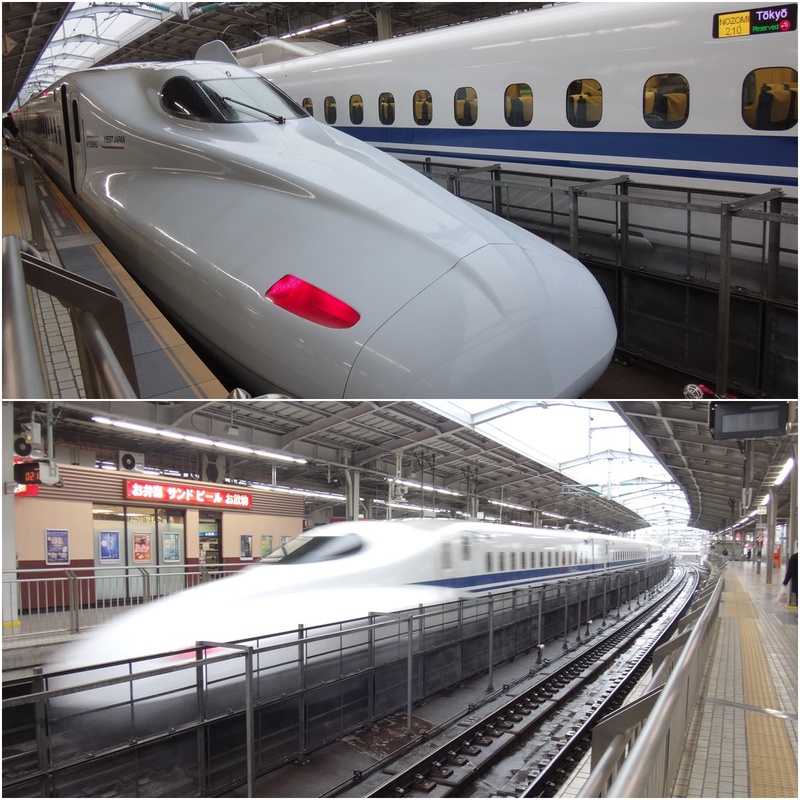 You can take the Shinkansen (Japanese bullet train) ride from Osaka (Shin-Osaka station) to Hiroshima station and the whole journey takes 100 minutes for one-way trip only. You can either buy the train ticket at the ticket booth or walk to the ticket counter for the assistance of the ticket purchase at Shinkansen train station. It is strongly advised to buy your return trip of Shinkansen train ticket at least two days ahead before your trip so that you can reserve your seats. It also helps you to plan your day trip or two days at Hiroshima and Miyajima in Japan when you know your train schedule. When you reach Hiroshima Station, you get down the Shinkansen and follow the arrows to lead you out of the train station. There is an Information Counter as when you are about to walk out of the exit gate at Hiroshima Station. The staff are able to converse in English and will guide you to places to visit in Hiroshima and Miyajima. You can ask for the nearest Streetcar (Hiroshima Electric Railway) platform. 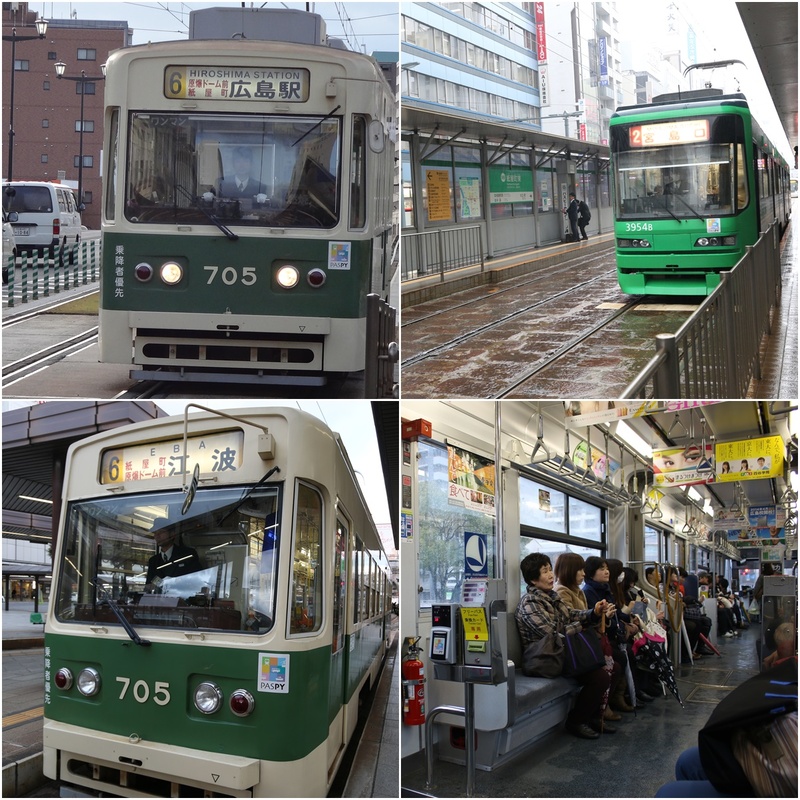 The Streetcar is operating since 1910 and it is a very convenient public transportation as it takes you around Hiroshima prefecture, to Miyajima ferry pier and also to other attraction places. The Streetcar moves very slow and it is not recommended to get your one day pass. Tickets aren't sold at the booth and the Streetcar is a flat fare based on per ride. It is really surprising to see a conductor and a driver on every Streetcar. The conductor will walk around with his bag to help passengers in providing loose change. The reason is, passengers need to pay the exact amount in the fare box as when they get down from the Streetcar. For more details about the timetable and fares of JR trains and Shinkansen to other prefectures in Japan, please refer to JR official website.